Lily and Rose are helpful fairies who love to take care of their garden friends. But will Patch the elf's naughty tricks mean that the fairy friends stop helping those who need it? Read it yourself with Ladybird is one of Ladybird's best-selling series. For over thirty-five years it has helped young children who are learning to read develop and improve their reading skills. Each book has been carefully checked by educational consultants and can be read independently at home or used in a guided reading session at school. Further content includes comprehension puzzles, helpful notes for parents, carers and teachers, and book band information for use in schools. 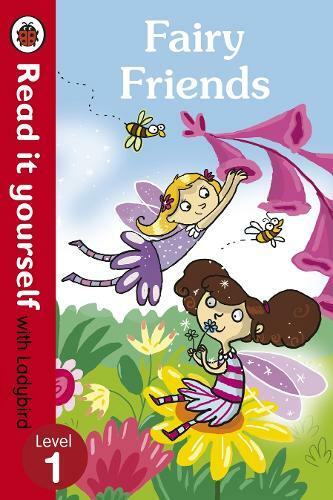 Fairy Friends is a Level 1 Read it yourself title, suitable for very early readers who have had some initial reading instruction and are ready to take their first steps in reading real stories. Each story is told very simply, using a small number of frequently repeated words.